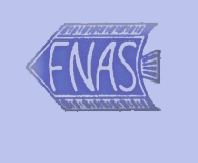 Welcome to the Historical FNAS website. The site is designed to give information about the Federation and its past member clubs. FNAS and BAF (the British Aquarist Festival) Open Shows at a meeting held at the Bradford & DAS OS on 13th May 2018.
on request via their emails ….. It is with great regret that the Committee of the Federation of Northern Aquarium Societies (FNAS) has decided to close down the federation because there is no longer any funds or viable Aquatic Societies needing their expertise. Started in 1945 the Federation grew to include about 50 societies, handled funds of tens of thousands of £s and held an annual Open Show (BAF - British Aquarist Festival) from 1951 to beyond the Millennium. The FNAS website (www.fnas.uk) will continue as a Historical Site with details of its history and downloadable copies of the many FNAS Publications. (see https://www.drdmford.com ) for the FNAS Committee. history of the British Aquarist Festival. report on the very last BAF. Click/tap HERE to visit page 6 and a copy of the original form sent to the Clubs for membership of the FNAS.